There was once a time when we had Madelinetosh Pashmina in the shop. That time was glorious, but rather brief. Why you might ask? 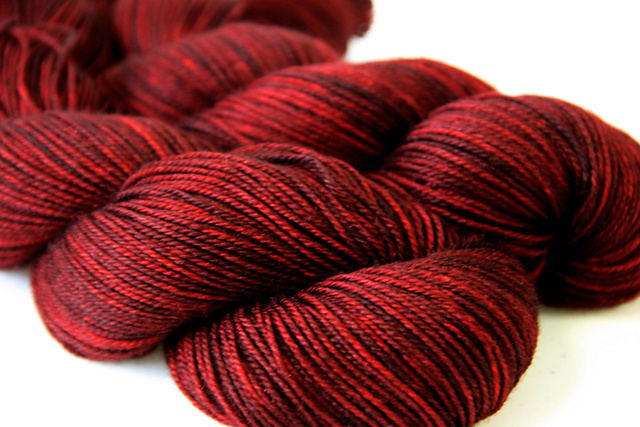 Because Pashmina is such a beautiful yarn we couldn’t keep it on the shelves! It seemed to fly out the door and soon we were left with none. Not one lonely skein. After some waiting (it felt like a lot of waiting, I’m so pleased that Pashmina is back. Why is Pashmina so great you ask? The combination of Merino, Silk, and Cashmere is a good start. A generous 360 yards per skein doesn’t hurt. And the colour is the clincher. Pashmina is a sport/dk weight yarn it has those magical colours that only Madelinetosh seems to be able to create. Subtle variegation makes for a most stunning depth of shade in all the Tosh yarns and Pashmina is no exception. It’s time to cast on a spring cardigan! This entry was posted on Tuesday, February 14th, 2012 at 10:49 pm	and is filed under Uncategorized. You can follow any responses to this entry through the RSS 2.0 feed. Both comments and pings are currently closed.